It’s all about velvet for autumn 2016, in case you haven’t been paying fashion-attention. I’ve been looking forward to it since the February catwalk shows indicated it was heading our way, it’s my Fav Fabric Evs. 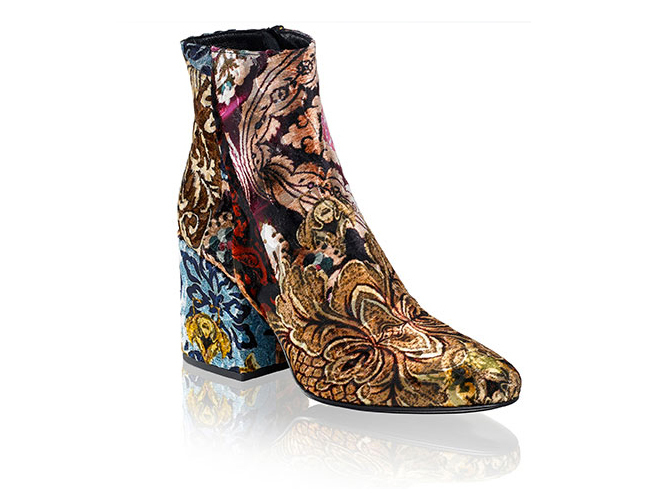 The velvety Roxanne boot from Russell & Bromley is basically the new car-to-bar shoe, because although it perfectly encapsulates everything that is wonderful about the new velvet trend, it can’t actually be worn outside. I mean, what’ll happen to those plush velvet heels on a rainy pavement in Swindon? Or crossing a wet-leaf-strewn park in Bath? No, best either have them as your screen saver and general Velvet Muse (think dark, boho-swirly prints, burgundy plush and strong colour combos) or buy them them (credit-card-warning, they are £295) and never let them out of the house, like one of those very expensive, easily-kidnapped-and-sold, cat breeds. I walk up Bond Street on my way to appointments a lot at the moment, and pass these lovelies in the store window about four times a week, it’s only a matter of time before I weaken and go in to try them on. I’m thinking they’d look good with wide legged cropped trousers, a turned up pair of dark denim straight legs, or a mid length dress. Gosh! Back to the 1970s…….again. Have they managed to come home with you yet Amanda? 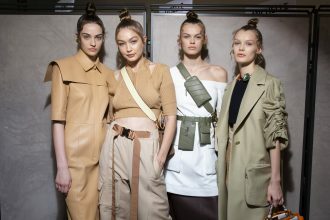 Fashion Month and what it means for us normal people!